When I was first asked the difference between Marketing and Public Relations (PR) a couple of years back during a class, I drew a complete blank. I had never thought about these functions as stand-alone concepts. Four years later, I can say that now I know the difference between PR and Marketing. I can also say confidently that they are pretty different from each other. The functions of Marketing and PR are often intertwined in organizations. Coming from completely different perspectives, though they are required to work closely together, the struggle to find bridges between the two functions is never ending. The information age has made organizational operations much more complex. Making use of resources efficiently has increased the need for specialized methods. In turn, this creates the need for us to know how these functions differ from each other. Marketing, in essence, is the value creation of a product or a service for its consumers while PR relates more to establishing a connection between an organization and its consumers. Both of these are management functions that are aimed to achieve the same purpose pursuing different paths. In case you are still not sure about the difference, here is an escape from the sticky wicket. Go through these points and do share your input on how you think these functions differ from each other. Marketing a base function focuses on activities that increase sales by attracting new revenue for the organization. PR on the other hand focuses more on building relationships with current customers to make sure an organizations future profitability is headed in the right direction. 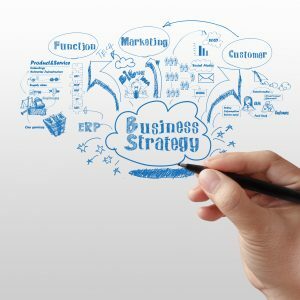 Secondly, the end user of a marketing campaign is the customer who has the financial viability to purchase an organizations’ product or make use of its services. While in PR, the end user does not necessarily have to be a customer. It can be anyone ranging from a potential investor to environmental groups and trade analysts. A Marketing campaign generates short term results measured by number of sales or leads once the campaign is over. On the other hand, a well done PR campaign yields long term results where the end user takes away a perception that may last a lifetime. A PR campaign aims to create a positive perception in the mind of its target base, so even if the campaign itself is over, the positive perception or the good will of the organization still remains intact. In sync with the differentiation stated above, it is easier to gauge the success of a marketing campaign as it results in profits and revenues. It is much harder to gauge the success of PR campaign given its long-term nature. Lastly, these two management functions differ vastly in their channels of communication. Marketing, for me is more generalized given the mass amount of customers that are usually targeted e.g. TV ads, Internet Ads, Billboards etc. Whereas, usually a PR campaign is more personal. PR makes use of channels like surveys, events for relationship building, media relations etc. Ultimately it is focused on fostering relationships with the end user. While it is important for an organization to be able to differentiate between these two functions, it is also important to realize that these functions are extremely reliant on each other and complement the success of a business. This is a key element which all PR and Marketing professionals must bear in mind as they set out in their careers. Comparing two vastly different campaigns gives us an insight into how PR and Marketing really differ from each other. 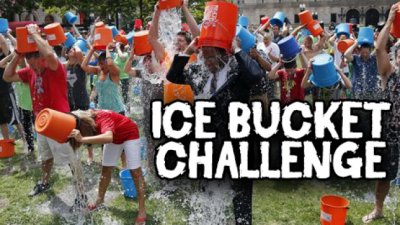 On one hand, we look at the Ice Bucket Challenge, one of the most profitable social media PR campaigns of its nature. The ALS Association managed to raise $115 million through social media donations brought about as a result of the #IceBucketChallenge. The campaign inspired thousands of people to take cold baths and engaged numerous celebrities. This is an example of a successful PR campaign which managed to mobilize thousands without direct advertisements. 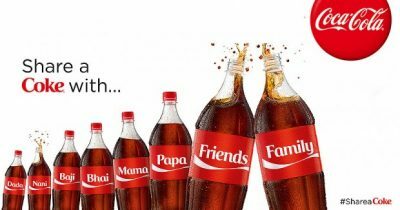 On the other hand, Coco Cola’s “Share a Coke” Marketing campaign gained popularity among young and old alike. Coke managed to do this by effectively using an engaging marketing tactic. Their personalized Coke bottles and cans were seen across social media and they managed to increase sales by 2.5 %. This was a profitable Marketing campaign that engaged consumers in a way where everyone wanted a coke with their name on it. The difference between PR and Marketing is quite clear once you get a grasp of how they work and approach the same messages. I hope these pointers have been helpful. Do share your comments. With a keen interest in Public Relations and Advertising, Hamna Aleem is a social media buff. Hamna is currently studying Mass Communication at National University of Science and Technology (NUST) and plans to take up Public Relations as her profession. She has held the position of a reporter at university newspaper- Pakistan Ink where she wrote for the lifestyle beat. Apart from baking in her spare time, Hamna has a penchant for lifestyle journalism and corporate communication. PR focuses on the company’s image. Taking a much broader approach, PR is concerned with the views of the general public and important stakeholders, such as the media, legislators and investors. While PR does not immediately and directly contribute to the bottom line, it impacts the company’s success by developing and maintaining good relationships and creating a positive business environment.